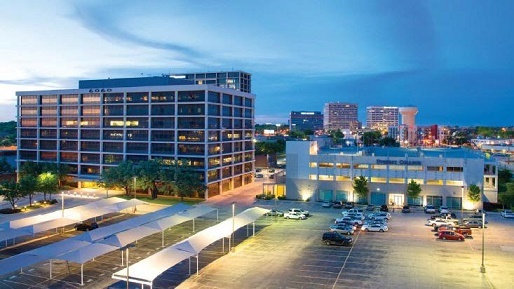 DALLAS - Two North Central Expressway office buildings — 6060 and 6080 North Central Expressway — have been acquired by a joint venture between Houston-based Triten Real Estate Partners and Chicago-based Convexity Properties. 6060 North Central Expressway is an eight-story, 224,682-sf boutique office building. It was constructed in 1972 and renovated seven years ago. The second building, 6080 North Central Expressway, includes a four-story building with three levels of parking and a floor totaling 45,817 sf of office space. According to JLL second quarter research, office rates in the North Central Expressway submarket average $23.74 PSF plus utilities, compared to Uptown where average asking rates are $33.53 PSF. The new partnership plans to immediately begin a multimillion-dollar renovation to the buildings to bring them up to Class AA standards. In the future, the two firms plan to build a mixed-use lifestyle center surrounding the properties to focus on offering a work-play-live environment to the neighborhood.